Imaging overuse: Cost cutting hides under 'quality' concerns - ONRAD, Inc.
AuntMinnie.com | In this posthealthcare reform era, there’s a fusion of medical economics, quality and safety measures, and a challenging reimbursement reality that may or may not improve patient care or access to imaging, according to a presentation given last week at the Society of Breast Imaging (SBI) meeting in San Antonio. Dr. James Borgstede, from the University of Colorado-Denver, described to session attendees how healthcare reform is changing the way medicine is practiced, noting in particular that “quality” is the big buzzword. Although he oriented his talk around breast imaging, he made it clear that his ideas can be extrapolated across all modalities. In the current economy, the government and payors are moving away from concerns about imaging access and payment for service, Borgstede said. Instead, they are moving toward payment for quality, where “quality” is the ratio of value to price over a given length of time, and efficiency is the ratio of objectives achieved to resources consumed. Payors have been addressing what is considered a volume problem — the overutilization of imaging — with unit cost solutions in the Medicare fee schedule. This includes the multiple procedure payment reduction (MPPR) policy on the technical component of imaging, increasing this technical component reduction for multiple procedures from 25% to 50%, the Deficit Reduction Act of 2005, and increases in the equipment utilization rate from 50% to 75%. The goal of the Centers for Medicare and Medicaid Services’ (CMS) final physician fee schedule rule for 2011 is to save money for the Patient Protection and Affordable Care Act (ACA) of 2010, and the goal of the government is to protect primary care, he said. “Breast imaging and breast care still have public support, but they may not be immune to challenges,” he cautioned. Everyone in this new healthcare paradigm, including the government and private payors, is concerned about financial survival, according to Borgstede — which makes it all the more important for breast imagers to watch their contracts and their payor mix. “Radiologists must demonstrate their value to healthcare beyond image interpretation, and breast imagers are more facile in this area,” he said. One way the Affordable Care Act might shift from a payment-for-service concept to a payment-for-quality system is through accountable care organizations (ACOs), Borgstede said. “Radiology must be a player in ACOs,” he noted. Should radiologists participate in Medicare? What might happen to contracts if they don’t? How much imaging has been driven back to hospitals by recent governmental actions, and why? Should radiologists accept or promote practice buyouts?  Should radiologists participate in the Physician Quality Reporting Initiative and the Maintenance of Certification program operated by an American Board of Medical Specialties (ABMS) body? “Radiologists who do not address these important questions jeopardize their ability to care for patients, their financial well-being, and their very financial survival,” Borgstede concluded.